Place a few dryer sheets on different shelves or sections of your closet. Be sure to store dryer sheets with out-of-season clothing as well to keep them from smelling stale. If you don’t have any dryer sheets on hand then try the next solution. Soak a few cotton balls with cologne and place them in open glass jars. 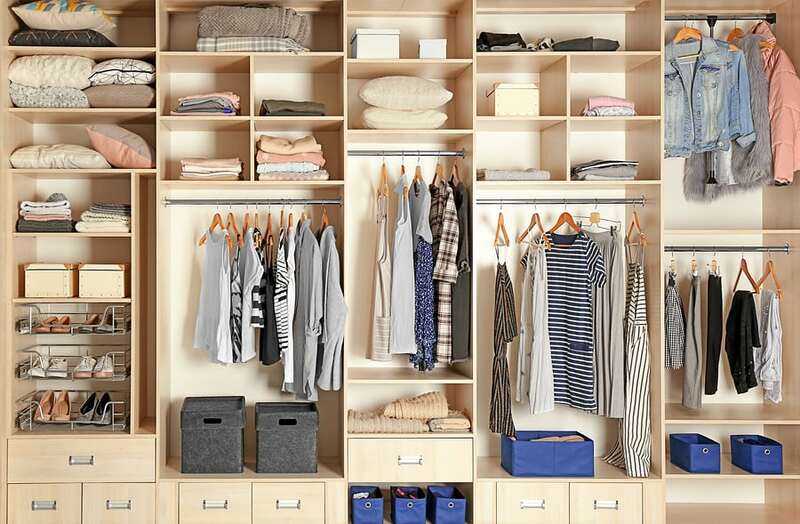 Of course be sure to keep your closet clean by wiping it down on a regular basis.